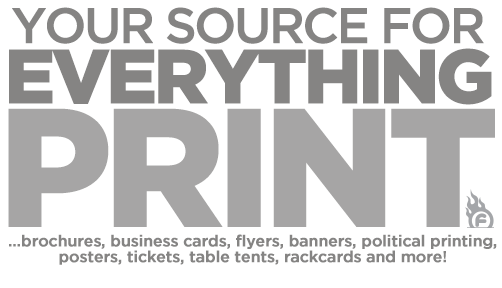 We are your #1 local source for high-quality fastest turnaround, lowest cost professional printing. Same Day, Next Day, Print Projects, Banners, Signs, Direct Mail, Graphic Design and MORE!!! Located in the Short North, at the heart of Columbus, only blocks from both Downtown as well as OSU campus, we stand at the ready to fulfill your every need and desire (well at least as far as print products go). We've been providing print and graphic design services for more than 10 YEARS now, and have positioned ourselves to be your one-stop shop for Business Cards, Flyers & Club Cards, Brochures, Postcards, Mailers, Rackcards. Door Hangers, Table Tents, Menu, Hang Tags, Banners, Stickers, Vinyl Graphics & Decals, Indoor & Outdoor Signs, T-Shirts & Apparel, Direct Mail and Much MUCH MORE!!! ...All done in Same-Day, Next-Day and Standard 2-4 business day turnarounds!